This week’s twitter round up features a variety of topics from our contributors, from discussions about health care spending and the Affordable Care Act to articles about environmental poisoning of soldiers in Iraq. Amitabh Chandra tweeted that “Healthcare spending growth hits a 10yr high… so much for ‘ACA is bending the cost curve’” and shared an article from USA Today. Frank Pasquale shared a blog entry by Larry Backer about Pennsylvania State University students’ worries about the rise of health care costs. Kate Greenwood retweeted Austin Frakt and an article from The Incidental Economist about the negative impact of the insurance market before the implementation of the Affordable Care Act on entrepreneurship. This week’s twitter round up features a variety of topics from our contributors, from the chemical imbalance theory to infant mortality rates and IVF conception rates. Frank Pasquale tweeted an article from The Star about the shift of the chemical imbalance theory related to mental illness from an agreed upon medical principle to simply another tactic used by marketers for pharmaceutical companies. Art Caplan shared two updates regarding current rates of flu vaccination. 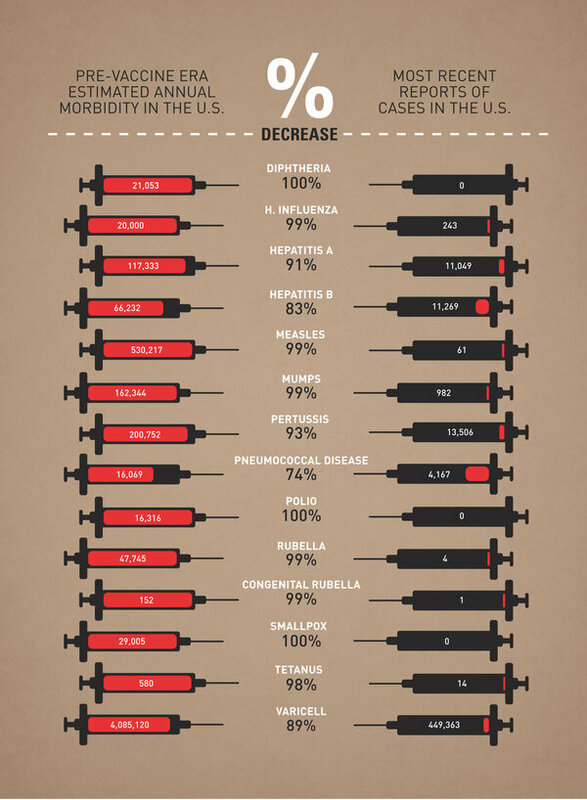 The first was a retweet of a map graphic showing the “rate of nonmedical vaccine exemptions by state,” and the second was an update based on the records of the Immunization Action Coalition regarding the “now more than 400 organizations with mandatory flu” vaccines for health care workers. Amitabh Chandra tweeted an update of the infant mortality rates of Pakistan versus India: “In 1960, India and Pakistan had the same infant mortality rate (155/1000). Today, Pakistan’s is 71/1000, which is what India had in 1995.” He also tweeted a Wikipedia article regarding infant mortality driving child mortality. Stephen Latham tweeted a link to his blog reporting on “US IVF Conceptions at All-time High” which discusses the potential effects of not insuring people for assisted reproduction and encouraging implantations of multiple embryos. Richard Epstein tweeted several times about the contraceptive mandate including links to the John Batchelor Show online. This week’s twitter round up features a variety of topics from our contributors from the hunger crisis in America to the contraceptive mandate and the Lancet/Oslo Commission on Global Governance for Health. Frank Pasquale tweeted an article from MSNBC about the millions of residents of New York suffering from hunger and the American hunger crisis overall (2/12). Art Caplan was a guest of Southern California Public Radio, where he discussed the proposal in Rhode Island to mandate flu shots for children from 6 months to 5 years enrolled in preschool or daycare. In response to a New York Times article about Medicaid expansion, Amitabh Chandra tweeted in support of allowing Medicaid beneficiaries to buy insurance on an exchange. Stephen Latham tweeted a link to his blog responding to the Lancet/Oslo Commission on Global Governance for Health. Richard Epstein tweeted his article in “Defining Ideas” about the contraceptive mandate and his view on the strength of the classical liberal case versus the religious case against the law. I’m freshly back from the annual meeting of the Public Health Law Research program, sponsored by Robert Wood Johnson. At most academic meetings, I prefer schmoozing in the halls to listening to the talks. That’s part personal vice, and part stage-of-career: at this point, it matters more who I talk to than whose paper I hear. This conference was different, though–perhaps because I’m new to it. A very large percentage of the papers (and posters!) repaid close attention. We’re excited to introduce and welcome Stephen Latham to our blogging community as an occasional contributor. Steve will also be cross-posting from his Blog on Bioethics.